Recently I finished reading a book on options that doesn’t explain the basics of calls and puts. The Greeks are on almost every page, but never defined, and it’s assumed that the reader already knows options strategies and acronyms (e.g., butterflies, condors, ratio spreads, ATM, OTM). 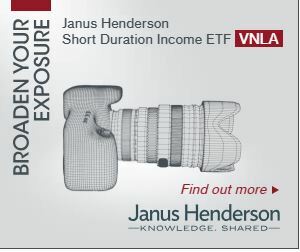 Clearly the “The Option Trader’s Hedge Fund” is not for beginners. It targets serious traders that know the basics and want a full picture of what’s required to professionally trade options. Using the apt analogy of an insurance business Dennis Chen and Mark Sebastian construct the fundamentals of a well designed options trading business, including capital requirements, risk management, infrastructure needs, and recommended processes. The trade selections that Dennis and Mark discuss are classic volatility trades—evaluating historical volatility, skew, and term structure in search of mispriced options. Target profit is 5% to 10% on many of the setups and the suggested initiations are 30 to 60 days before expiration. You won’t read about earnings plays or expiration week strategies in this book (check out Mark’s blog for that). 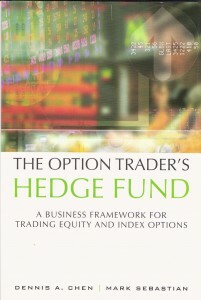 The Option Trader’s Hedge Fund bridges the gap between starter books and reference style books. It will challenge you, but I’d be surprised if you don’t come away with some valuable insights.